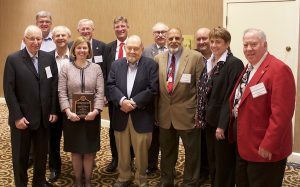 Allied’s Dana Goski, VP of Research & Technology was named The American Ceramic Society 2019 recipient of the St. Louis Section Theodore Planje Award. Congratulations, Dana on this recognition and your dedication to this industry through the years! Read the article from ACerS to learn more.